Seli 1 wreck reduction operations to date have been confirmed as a resounding success; however the public are advised to keep a wide berth as further operations to ensure the safety of recreational users must still take place. 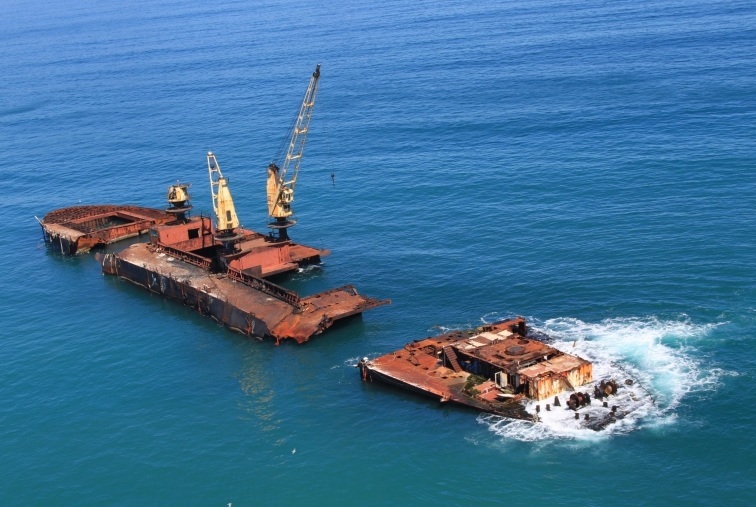 A recent follow-up assessment of the Seli 1 wreck off the Table View coastline has confirmed that the operation has been a success, with the primary objectives of the wreck reduction operation having been met. Prior to the reduction operation, the wreck was divided into three sections visible on the surface. This negative visual impact of the wreck has now been removed. The assessment revealed that the hull has completely split apart and collapsed and is lying on the sea floor with most of the hull up to a depth of 8 to 10 metres below the sea level. The bow section has been successfully reduced with the highest point 5 metres below the sea level. The reduction of the wreck is expected to limit the erosion of the Table View coastline which was being caused by the wreck. More significantly, it appears that there is no further threat of oil spills, onshore pollution and contamination of marine life as there are no remaining pollutants trapped in the wreck. The assessment has, however, identified two portions – the aft and crane sections – which require further intervention to ensure that these do not pose a hazard to recreational users. In the interests of the safety of recreational users, the Task Team is currently looking at ways to address these portions, including possible further reduction by means of cutting. The City’s Mayoral Committee Member for Safety and Security, Alderman JP Smith, expressed thanks to the South African Navy for their assistance with the wreck reduction operation. ‘We are extremely grateful to the Operational Diving Team of the South African Navy for their effort and time in assisting with the wreck reduction. The results to date indicate that the operation has been a huge success. The Task Team is looking to address the remaining two areas of concern given the fact that Table View is a key recreational area and the safety of recreational users is a priority,’ said Alderman Smith. In the interim, a renewed appeal is made to members of the public to not approach the submerged wreck under any circumstances. The wreck area is identified by means of an orange buoy which has been positioned as a precautionary measure to prevent injury. The public and in particular recreational users such as kite surfers are warned to not approach within 100 metres of the wreck from any direction as it remains dangerous.